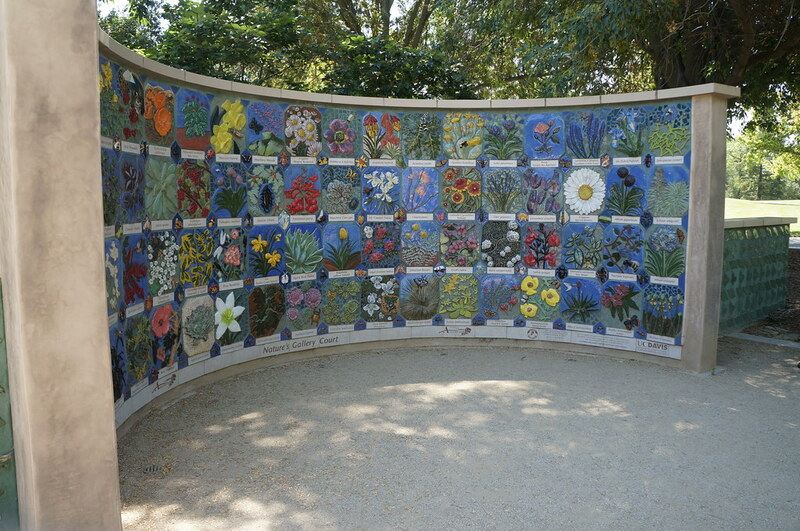 The UC Davis Nature’s Gallery mural is a stunning work of art composed of over 140 colorful ceramic tiles—hand-crafted by students, staff, faculty, and community members—each depicting diverse drought-tolerant plants or insects found in the Arboretum’s Ruth Risdon Storer Garden. This unique, high-profile project showcases the talents of the artists, students, community members and educators involved in its creation, and the generosity and support of our benefactors. Before permanent installation in its home on campus in 2012, the mural was featured at the US Botanic Garden in Washington, DC.